If your like us- you are always looking for the newest tech gadgets to make your life easier. Whether its a Bluetooth shower speaker or a robotic vacuum cleaner, you are always geared with the latest in technology. We have put together a list of our new favorite gadgets for you to purchase as a gift for a loved one or for yourself! 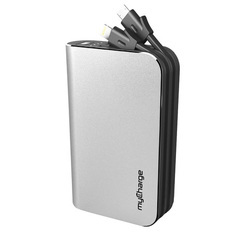 The new myCharge HubUltra 12000mAh portable charger is the most powerful charger that myCharge has developed. The portable charger includes an integrated Apple Lightning cable and an integrated micro-USB cable with these attachments you can easily charge anywhere. The HubUltra also includes a charging dock for recharging. The HubUltra charging dock has a built-in USB port to charge a third device. This charger is by far the ultimate in portable charging devices! For those on the run, ARMPOCKET is your best friend! When you are running errands or participating in outdoor activities and do not want to carry a bag or a wallet, ARMPOCKET has come up with the perfect armband for you! The armband can carry your cell phone, credit cards cash and more. Its weather-proof and sweat-proof design will protect your belongings, while the patented ergonomic design will keep you comfortable and in-the-zone. Are you tired of low quality pictures from your cellphone? The Ztylus Lite turns your cell phone into a professional camera! The Revolver 4 in 1 Lens Attachment allows you to easily attach 4 lenses to your cellphone with the Ztylus phone cover. With the 4 high quality lenses, you can take better photos with the flip of your wrist. 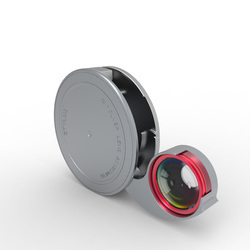 The new Smart-Flip technology allows the lens to flip out and automatically lock into place! This is the perfect gift for someone that loves taking pictures and its perfect for travel! Are you planning to purchase the Apple Watch or were you one of the first that bought the coveted watch? 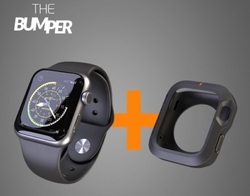 If you own or planning to own the Apple Watch you need to keep it protected with The Bumper! This cover was created in Italy and is inspired by Italian design. It's made for active users- its feature include 360 degree shock protection and absorption and full access to all your important Apple watch features! This is the perfect gift for someone that leads an active lifestyle and wants to keep their Apple Watch bump-free! The TrackR bravo is an essential item to ensure that you don't lose a thing. From cellphones to keys this little gadget can be easily attached to your valuable items. With the TrackR app, locate any lost or misplaced item in seconds by ringing your missing keys, using TrackR’s Distance Indicator or via Crowd GPS. This little items can save you countless hours searching for your lost keys, phone, purse and more. This is the best gift for a forgetful loved one! For music on the go, the JAM Transit delivers headphone sound without the headphone bulk. These wireless Bluetooth Speaker Headphones are lightweight and super comfortable! 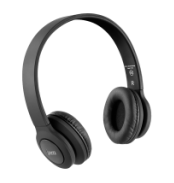 They are the the perfect on-ear headphones for light to moderate activity. The headphones are light, but the sound is strong! Raised controls on the headphones make raising the volume or skipping a track a breeze! Kingston has developed the perfect mobile companion to solve all your need. If you need to charge up your phone or need extra storage this is the perfect solution! 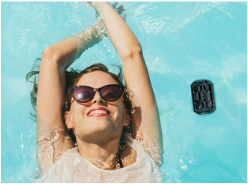 This mobile companion allows you to stream movies, listen to music and view different photos on multiple mobile devices simultaneously. 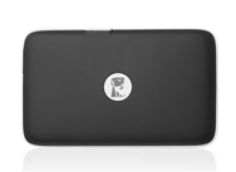 This device can also be turned into a portable Wi-Fi access point! This device does it all and makes a great gift for someone who is always on the go! 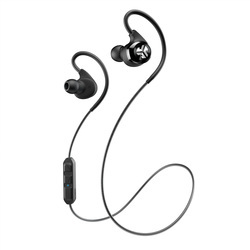 JLAB just released the perfect Wireless Bluetooth Earbuds that are perfect for working out, running and traveling! These earbuds last 10 hours between charges, they have the highest battery capacity in the market! With great sound, battery life and a sleek design, the JLAB Epic Wireless Bluetooth Earbuds make a great gift for someone who leads an active lifestyle!